Is your home on the market in October? 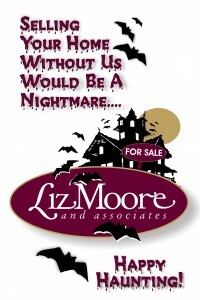 Consider decorating your property to be the neighborhood Haunted House. Decorate your front yard and/or porch, and plan some ghoulish tricks and treats. Then, promote your haunted house with local REALTORS as well as in the community section of your local paper…it’s a great way to get some free press and exposure for your property!